I revisited making mayonnaise. I was determined that I was going to win and not the glob of egg and oil. I ended up using a combination of several recipes. Mostly because they all had different methods and tips. I was also determined to do it with my immersion blender. 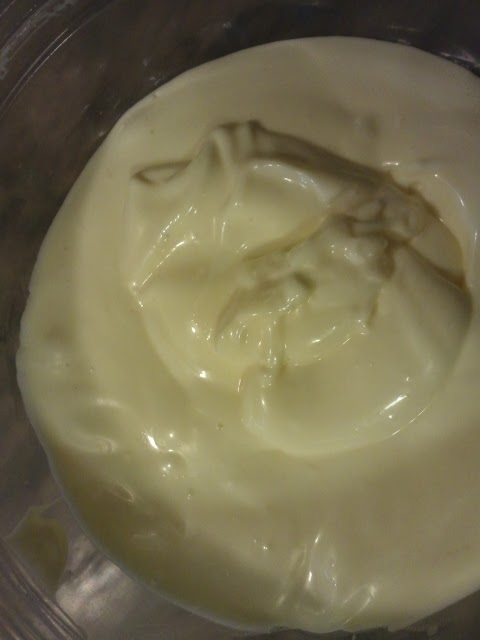 I succeeded in making mayo! Since I am not a mayo eater I had to rely on my husband to decide. As I sent him off to work yesterday I packed two sandwiches. I marked then simply 1 and 2. The only difference was the mayonnaise. He guessed that the homemade mayo was on sandwich one. He said it needed to be tangier. But it was good and it WAS mayonnaise. So let me start by saying the Foolproof Mayo method did not work for me and I was not going to try it again. My mayonnaise took several minutes to make but was still quite simple to do. One of the most often read tips was you MUST use fresh eggs! I had to find the science as to why eggs had to be fresh. (The eggs I used on my first try had been in the fridge nearly two weeks. In fact it was my last two eggs before shopping.) Oh yes, the reason for fresh eggs is this: As an egg ages, lecithin, a protein that acts as the central emulsifying agent, breaks down and the power of the egg yolk to stabilize the mayonnaise weakens. The second tip. Make sure everything is at room temperature. Eggs, lemon juice, everything. Put the egg yolks, egg, lemon juice, mustard and salt in a narrow bottomed container. 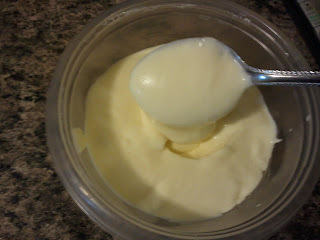 Using immersion blender process for 10 seconds or more, until creamy. Now you need to muster up all the patience you have. That is very difficult for me, so if I can do it you can too. With immersion blender still running, add a few DROPS of oil. When it is fully incorporated add a few more drops. Continue this with blender always running for about the first 1/4 cup of oil. When the mixture has definitely began to thicken you can start adding the oil in a thin stream. Stop pouring every few seconds to make sure it's mixing in. Continue until you've used a full cup of oil. I ended up using about 1 1/4 cup. I put it in a bowl and then in the fridge. I checked it later and it was nice and thick. It spread just like store bought. Just by looks I could not tell the difference. Note. I will try with a food processor next time. I think the process was too long to keep my immersion blender on for that long. It was getting pretty hot and I'm sure if it were a cheaper model I would have burned the motor out. I was just determined to beat the eggs and oil into submission the way I had tried and failed.